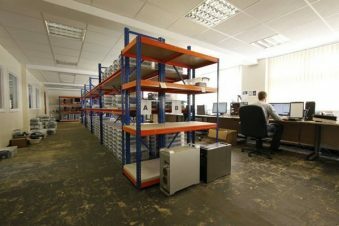 Data Recovery UK - Nationwide Data Services For Business & Home Users. Suffering from a data loss of any description can be a very traumatic experience for both home and business users alike and quite often it is difficult to know where to turn for the right advice. In the event of of a hard drive failure or a raid server failure the first steps are often vitally important to ensure the best possible chances of successful data retrieval. and speak directly to a data recovery specialist now. Incorrect initial action can further damage your hard disk or drastically reduce the chances of a successfull raid array recovery. Don't risk your valuable data and seek expert advice from a data recovery services provider at the first possible opportunity. Great professional service, from start to finish. Life saver!! Recovered 12 months of college coursework. Had problems with my 2.5inch hard drive most people quoted very high prices for the work I needed doing and most companies said it would be very difficult to retrieve the data. I found R3 data recovery on the net told them my problems and their quote was almost too good to be true I sent my drive off to them and with in a week it was done they had recovered all files on my drive no problem. I highly recommend this company and would gladly recommend them to anyone. I called R3 early morning after realising I had a serious problem with lost data on my office computer. They speedily rectified my problem in the most professional and caring manner. I cannot thank them enough and would recommend them to anyone. what a superb service they provided at a very reasonable cost. Thank you very much! It was an experience I don't wish to go through again. Panic, sweats, tears and fear! I called a few companies and R3 was the only one who showed some 'human' understanding of what is was like to loose all your data. I'm not computer minded & found the straight talk such a relief after all the 'tech jargon' which just made me feel more stupid. The profesional and human touch is so rare to find in businesses these days. All my data was recovered in less than 24hrs, it was so easy and I felt safe and in expert care the whole time. I also felt that I wasn't being taken for a ride due to my ignorance, which is an impression I got from phoning around other companies. The 5* review can't do justice here, it was unbelievable service & an experience that restores faith in ethical business with real humans!!! Excellent customer service throughout, and I was kept fully informed of progress. I am very pleased to have found a very professional and reliable service, and would recommend it to anyone. The whole process from media collection to return of data was flawless and R3 Data Solutions was happy to deal with a private individual. Faced with the losing everything on my current work stick, I was on the verge of disaster when, fortunately, I was put in touch with R3 data Solutions. They explained the options, offered an ultra high speed service and, importantly, gave me hope that recovery was possible. This hope was justified, with virtually all the files intact. The additional extra of having the data available electronically almost immediately was marvellous - incredibly useful. Thank you R3. Being reliant but scared of IT has never been a good mix. However my dealings with R3 Data were professional and no nonsense which led to a speedy cost effective solution to my problem. I would highly recommend their services. Excellent service recovering my information from a hard drive in very poor condition. OK, they're slow. It took two weeks for them to turn round a 2 TB disk (the bottom one of a 5-disk Drobo RAID). But: they warned me it could be two weeks and the disk they UPSed to me worked perfectly. I am terribly well-impressed by R3. And no, I have no connection with the company except as a satisfied customer. See MacInTouch.com for more of my Drobo-related saga. Very helpful and got my photos back when I was told by others I couldn't get them back. Fantastic work. Very efficient and up front about the problem they encountered when recovering data from a smashed Flash memory drive, it was still only a little bit over 24 hours from pick up to the recovered data being available to my daughter in law to complete the course work assignments that were stored on the drive. Good response in a critical situation. Very efficient process and 100% data recovery from a drive my local IT repair company said was impossible to recover. In an Emergency or where time savings are critical and urgent help is needed in order to prevent further risk to a Raid 0 or Raid 5 array, ensure a raid rebuild is not attempted if a drive or the raid controller is suspected of being damaged, simply and give us a call for help and advice. Our data recovery services employ their own server specialists trained in all types of server and Raid combinations and can advise over the phone or provide emergency onsite assistance anywhere in the UK. In additon to highly experienced staff we have one of the best IS0-3 (Class 1) clean rooms with current testing certification in Europe, and facilities and skilled staff who can keep costs down due to economies gained from having lean working practises and a team who have experience second to none. Hard drive repair can be a very neccessary step in the data recovery process because if the drive has totally failed there will be a requirement to repair a damaged hard drive before any attempt at data retrieval can even be commenced. Hard drive problems and drive failures occur for many reasons but in the main the cause could be drive degradation, failure of the on board PCB, a HDD firmware (the drives inbuilt software) problem or even a mechanical failure. Problems will manifest either with a hard drive crash or non spinning disk, unusual sounds which could be a clicking hard drive or even a whining or bleeping sound which general indicates a mechanical drive failure or a siezed spindle. Harddisk data recovery is possible but if you have any of the above symptoms please shut down your system to avoid further drive damage and seek immediate advice. Hard disk services and hard drive repair services Include: Internal and USB External Hard Drives - Network Attached Storage Drives - IDE,SCSI & SATA Hard Drives - Laptop and Macbook Drives - Hard Disk Drives from all major manufacturers including Maxtor Hard Drives, Seagate, IBM and Hitachi Drives and hard disk drives from Toshiba, Samsung, Western Digital, LaCie ,Fujitsu & HP. The use of diy data recovery software should be considered very carefully as this is only generally advised by skilled operators or where the value of data is very low and total data loss is acceptable. Recovery software can cause premature failure of degraded or mechanically unsound drives resulting in total data loss in worse case scenarios or increased recovery costs in best case scenarios. 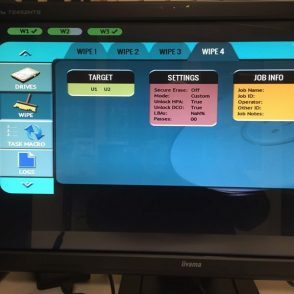 Professional recovery programs and hardware work outside of system software and have many specialist features to allow for custom recovery techniques that can take into consideration failing drives. In addition professional recovery hardware can also recovery data that system based software cannot see or find. More and more data is being put onto mobile computing devices such as laptops, Macbooks and notebooks as well as Pda's and mobile phones. Often because of the mobility of these devices the are rarely backed up and are prone to data loss especially from water damage or accidental knocks (and drops). We are able to effect laptop data recovery and Macbook data recovery from not only standard laptop hard drives but also from the very latest SSD drives (solid state drives) after research and development of effective ssd data recovery techniques. USB flash memory and memory cards come in all shapes and sizes from pen drives (also known as flash drives or memory sticks) to SD cards, XD Cards, CF cards. 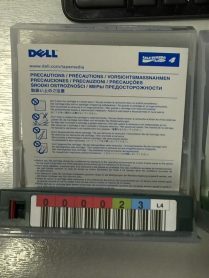 Advanced R&D in flash memory recovery procedures mean that in a high percentage of cases our USB data recovery techniques often result in very high memory stick recovery rates, with data being recovered successfully from devices even if the pen drive is broken or the usb memory device has been submerged. File recovery requirements are often a result of lost data due to files being deleted, file corruption or drive degradation that causes a piece of data that whilst being actually stored on the drive, remaining unreadable or retrievable using the normal computer operating system, or in the case of bad sectors inaccessible without overriding the drive firmware and computer operating system. 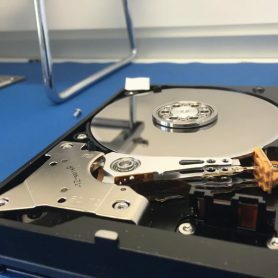 Our advanced disk imaging hardware and file recovery techniques enable us to recover lost data and recover deleted files in variety of scenarios and file systems including ntfs fat fat32 and apple file formats, deleted partitions, reformatted drives and raid arrays including multiple disk failures. Our infrastructure is designed to cope with influxes when several servers are needed to be assessed, repaired or rebuilt either onsite or at our main lab facility or regional offices in Liverpool, Manchester, Sheffield, Hull, London, Birmingham, Glasgow and Edinburgh. This scale of operations has ensured cost savings to the client by keeping facilities productive and efficient and proved successful in the recovery of numerous servers and hard drives and laptops needing recovery after fire or flood. Our recovery facilites have a Verteq nitrogen centrifuge for the cleaning of contaminated drives which has enabled them to recover systems and data submerged in contaminated flood waters or from foam / fire contamination. 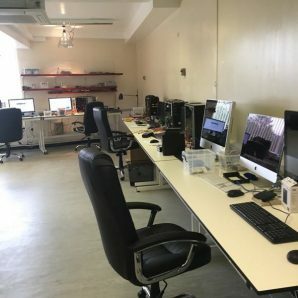 Unfortunately not all data recovery companies are able to offer the full range of data recovery services that some businesses will require, especially when it comes to server support and raid recovery. To find out what questions you need to ask we have produced a handy guide on how to choose a data recovery company to ensure you can make sure your data is in the best possible hands.